Ontex, a leading international provider of personal hygiene solutions, decided to structure an environment that was changing both internally and for customers. Together with Perpetos, they set up a continuous learning and coaching program. The program helps Ontex to align skills across their Divisions in the numerous countries where they are active. ‘Perpetos showed the ability to understand the context and go beyond our briefing. They challenged our vision and added value to the program,’ clarifies Stéphane Viguier. The program was implemented through classroom sessions, knowledge reinforcement and coaching. Perpetos delivered training across multiple European countries and supervised further deployment in Africa, LATAM and eastern Europe through a train-the-trainer program. The latter ensures that key messages, learning skills and delivery methods are consistent, no matter who the trainer and training organizations are. The training program was first implemented with senior management level, before being rolled out through the global organization. ‘We trained our Account Managers, and soon our Product Specialists. In a second phase, we introduced sales coaching to ensure the acquired competences are fully embedded. We now go beyond the Healthcare Division and roll out also into what we call the our Mature Market Retail and Americas Divisions’. The training and coaching program has also been incorporated in the KPI’s of Ontex’ Sales Management where it has been deployed. ‘With our newly gained insights into the buying cycle and its corresponding type of messaging, we’re fully prepared for growing existing customers and capture new ones. These insights have also allowed us to better promote the benefits of a CRM system for our sales reps’ day-to-day work and performance.’ Some of Ontex’s Division marketing departments have been involved in the program and are excited about it; this allows them to share a common language with sales and bring new messaging materials. ‘Our collaboration with Perpetos has been great all along. They confirmed their ability to put themselves in Ontex’s shoes. They’re real solution providers,’ concludes Stéphane Viguier. 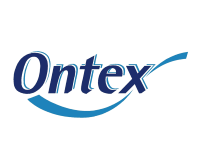 About Ontex Ontex is a leading international provider of personal hygiene solutions, with expertise in baby care, feminine care and adult care. Ontex’s innovative products are distributed in more than 110 countries through Ontex brands such as bbTips, BioBaby, Canbebe, AdultMax and Serenity, as well as leading retailer brands.